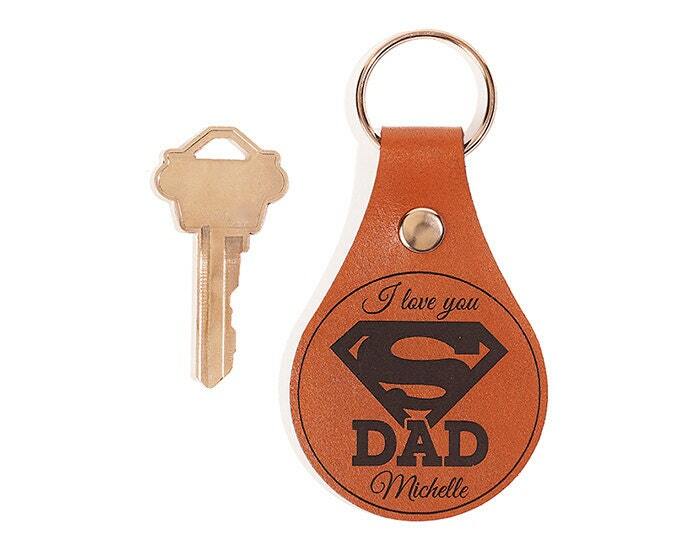 Below the images of the KEY FOB, you will find a field titled "Request a custom order”. 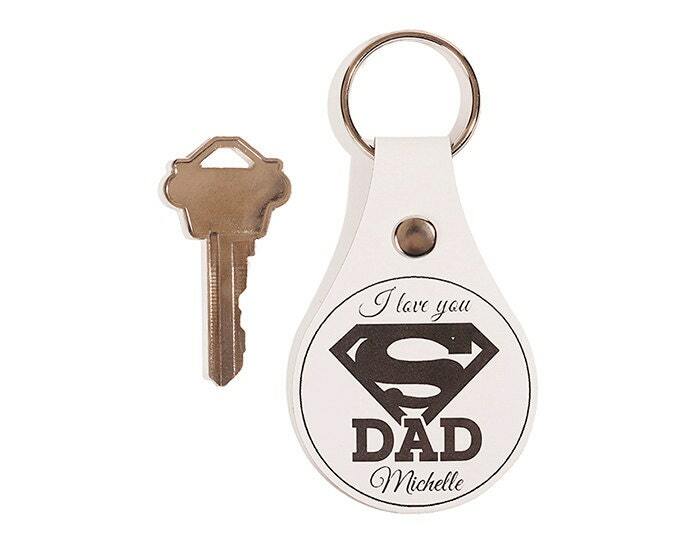 Please write what you would like to be inscribed on the Key Fob for Dad. Each line (top & bottom) has space for up to 20 characters. If we have any questions we will contact you. LASER ENGRAVED: A laser beam permanently engraves the design into the leather. HARDWARE: RUHA key fobs don’t use any stitching or glue, so there are no worries of your key fob fraying or coming apart over time. Instead we use rust resistant nickel-plated steel hardware for our rivets and key rings. It is strong, sturdy and very reliable. RUHA Key Fobs are durable if well maintained.